Jennifer is perhaps best known to television audiences as the former co-host of Channel Ten’s 5pm news bulletin on weeknights. Alongside Mal Walden, Jennifer performed in this role for ten years, The pair became the longest serving news duo in Australia’s television history, maintaining strong ratings and winning widespread support among viewers. Born in Orbost, in Victoria’s far east, Jennifer grew up and was educated in Melbourne’s bayside suburbs, where she attended Brighton Beach State School and Firbank Girls Grammar School. It was at Firbank where her interest in journalism was first sparked via her involvement as editor of the student magazine “The Log”. Jennifer continued her education at Melbourne University where she completed an Arts Degree with majors in English Literature and Criminology. While studying, Jennifer also wrote for the Southern Cross Newspaper and the Sunday Observer, honing her journalistic skills. She was also a contributor to the Melbourne University student newspaper, Farrago. In early 1985, Jennifer began her television career with Ten News. In the following nine years, Jennifer became a familiar face to Melbournians as a reporter and presenter of weekend news and summer news bulletins. During 1994, Jennifer’s career took a new direction when she moved to current affairs on Ten’s “Alan Jones Live”. 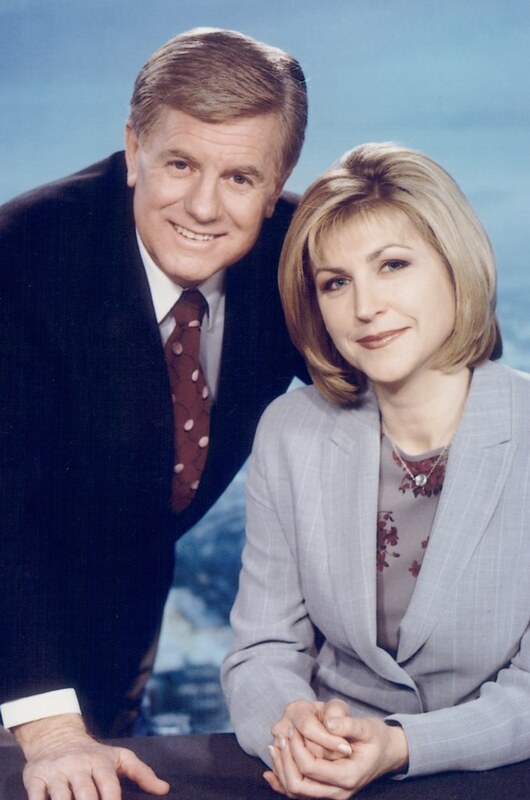 In January 1996, Jennifer was appointed to the role of co-presenter of Ten News with Mal Walden. With Network Ten broadcasting the Melbourne Cup carnival, Jennifer also took on the role of hosting “Fashions on the Field” during the Spring Carnival at Flemington. In 2002, Jennifer took over the writing of a column for the Sunday Herald-Sun “Tales of a Modern Woman”, for seven months. In addition, Jennifer regularly performs as MC at major charity and corporate events around Melbourne. Jennifer is married to Neighbours star Alan Fletcher (aka Dr Karl Kennedy). They have two children, Veronica and Tom. Jennifer departed from Network Ten at the end of January 2006, and is enjoying new opportunities in television and radio, as well as furthering her career as a speaker, MC and media trainer in the corporate world. After leaving Ten, Jennifer has had the freedom to explore her interest in pursuing an acting career. This interest that began in high school and led to her performing in various amateur productions in her late teens. In addition, Jennifer has featured in a newsreader role in various drama series over the years. (Prisoner, Neighbours, the movie “Boytown”) In 2006, she played the lead role in a stage play ‘Chasing Pegasus’ which was part of the Fringe Festival, playing at Gasworks Theatre. Jennifer also played a cameo role in the horror movie “Prey”, filmed in Melbourne in 2008. Jennifer also formed her own business ‘Uber Savvy – Ideas for Living’, to create, develop and sell, novel products. Jennifer’s first invention ‘Booty-Up’ is a boot filler which sits snugly inside women’s boots, enabling them to stand upright and to prevent ‘boot droop’. ‘Booty-Up’ has become a popular wardrobe essential for fashion-conscious women and is currently on sale at Myer department stores. Jennifer returned to the media industry during the 2008 Olympics, reading the news for the ABC’s Australia Network. This news service is televised to 43 countries overseas. Jennifer was then asked back to continue in a news-reading role that extended throughout 2009. Jennifer finished a year with the Herald Sun last August, where she wrote a weekly column called THE OTHER HALF, which involved interviews with the partners of successful Australians. Jennifer also studied the Professional Writing and Editing course at RMIT. She has completed her first novel, TV NEWS CHICK and a film script, BLACK ANGELS.